This is one of those mods that makes you laugh when you first look at/hear about it, but actually has a practical use. Unfortunately I have no plans to back port the mod to earlier versions of MC - 1.12.2 has been out for a long while now, maybe you should think about updating (most mods are available). Okie dokie, I get it. I would, but a handful of mods I love and have in my modpack have not been updated yet. 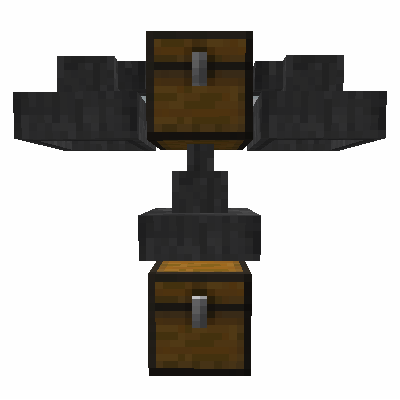 Is there a way we can have an alternate crafting recipe that requires a piston in the bottom centre? Your mod has been documented on the FTB wiki. 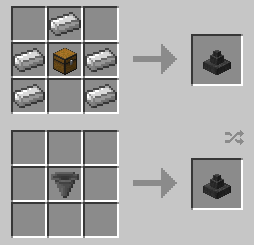 I have located the source of the crafting glitches: the mod "Diet Hoppers" changes vanilla hoppers in a manner that confuses this mod's shapeless recipe. Until a solution is found, everyone having the bug is going to need to choose which they want. EVERYONE COMPLAINING ABOUT RECIPE PROBLEMS PLEASE READ! Please remove all other mods from your game and just test with uppers and JEI. I CANNOT duplicate what people keep claiming is this mod's fault and no one else I have had test the mod has this issue either. If the mod has been added to a pack or is being used with other mods, I would hazard a guess it is a different mod causing the problems people are having. 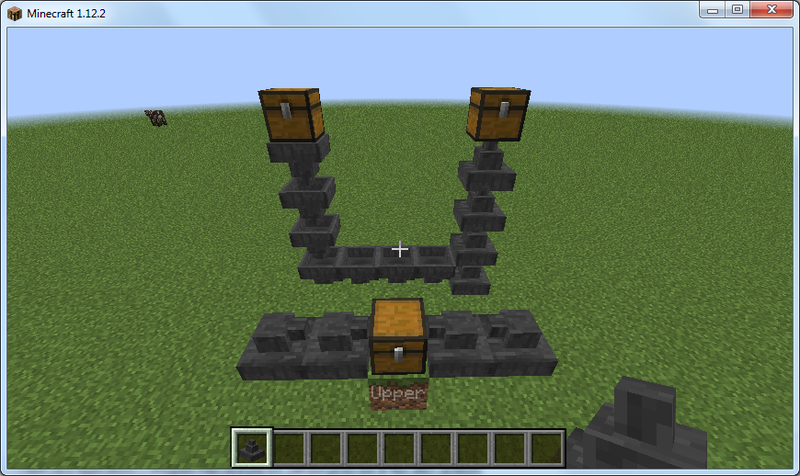 Just to prove this to people here; Just forge, JEI and Uppers. I would like to know the cause of this too, but also I would like this to be solved and reported to whatever mod is causing this weird interaction. I CANNOT replicate the bug and as such CANNOT fix a thing that I do not experience. The bug seems to be caused by the "Diet Hoppers" mod that alters the bounding box of regular hoppers to match their shape so you can click through them. Hey so I'm having the "can craft with just a stick" bug as well. I'll try some tests and see if i can locate the problem. Trying this mod for the first time and also having this problem. 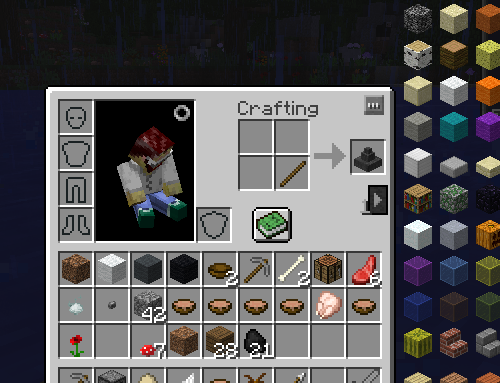 When I show recipes in JEI, the recipe to turn a hopper into an upper is missing, it only shows a blank item to upper, allowing you to use any item. I was able to craft an upper with a single stick, a single piece of charcoal, a sapling, etc. Basically any single item that doesn't already have a recipe associated becomes an upper (a mushroom became an upper, but a poppy became red dye since it already has that recipe). Mod author, please double check the hopper to upper recipe. You have a big nasty bug in the 0.0.4 version against forge build 2589. The hopper item shows up in the result box for tons of items when they are in the crafting grid. AND IT IS VERY MUCH craftable but it's there making the game feel broken. This bug has been reported before - I cant replicate it in my workspace as the recipes all work fine. I have also had others test for me and they cannot replicate this in the actual game. There is something weird going on. I'll take another look at the code. Would it be possible for you to test with just this mod and report the results. I would like to rule out any cross mod compatibility issues that may be happening. OK. I have had ANOTHER person test this for me in a world and they do not have the issue either. It has been tested by myself, and other people (including a twitch streamer live - who doesn't have the issue either). I honestly think there is some mod conflict causing this and really don't think the culprit is this mod. Would it be possible for you to please test with just this mod? Thanks for the effort on your side. Rather than run just the mod to confirm what you have found out. I will instead run a comparison search until I find the mod that is causing the issue and let you know so you can post in your overview that "xxxx" mod causes this issue, and also post to the author of that mod that they need to fix it.